We take so many photos on vacation, but where do they end up? I know I have boxes full of photos that I haven’t looked at in years, so I decided it was finally time to relive those vacation memories by making a DIY travel collage with a variety of photos, postcards, maps, tickets and scrapbooking embellishments to hang on the wall and preserve a vacation I took with my family to The Netherlands. 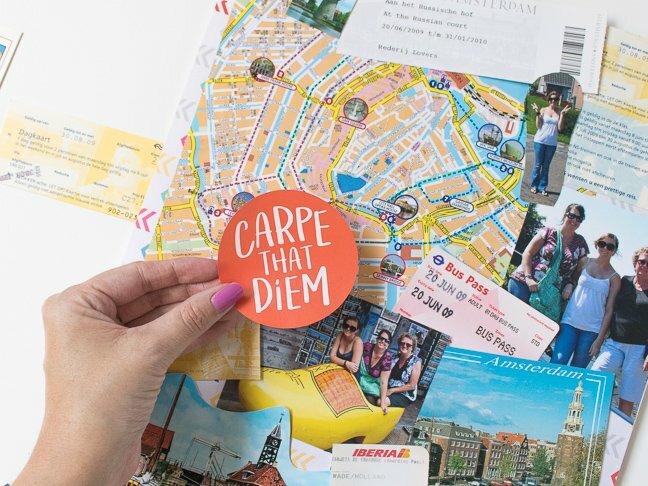 As you plan your summer vacation, remember to save little things like maps and tickets, and pick up postcards of scenery to create a travel collage of your own. 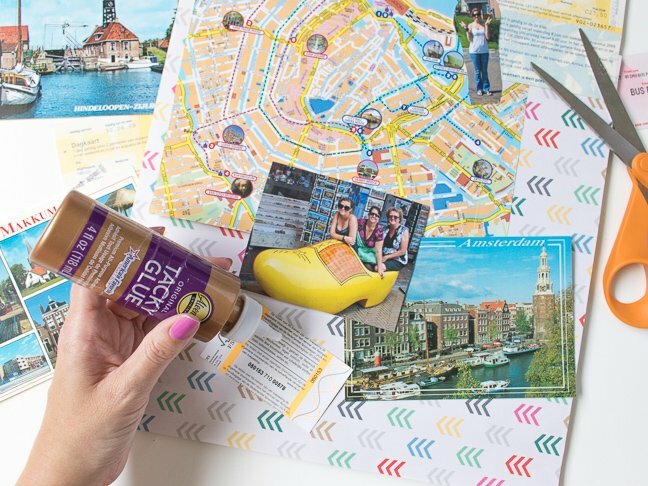 Fill it in with a few of your favorite photos from the trip and finish it with basic scrapbooking embellishments to customize it. Although I enjoy scrapbooking, I find it can be time-consuming, and I rarely look through them once they’re finished. 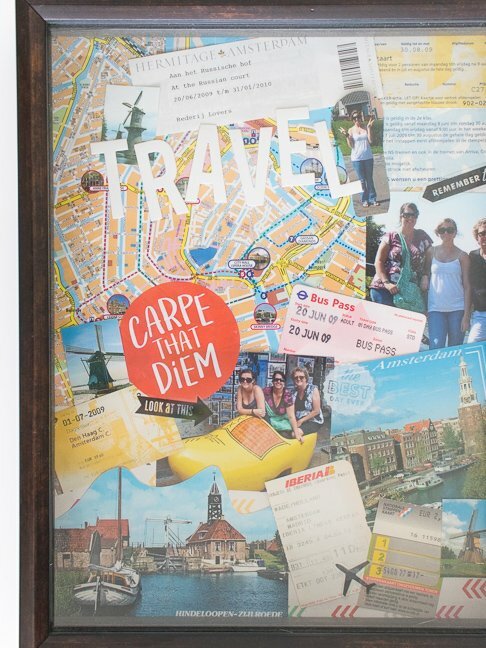 Instead, a travel collage like this can highlight your favorite photos as a piece of wall art in your home. You can walk by it every day and be reminded of your vacation! 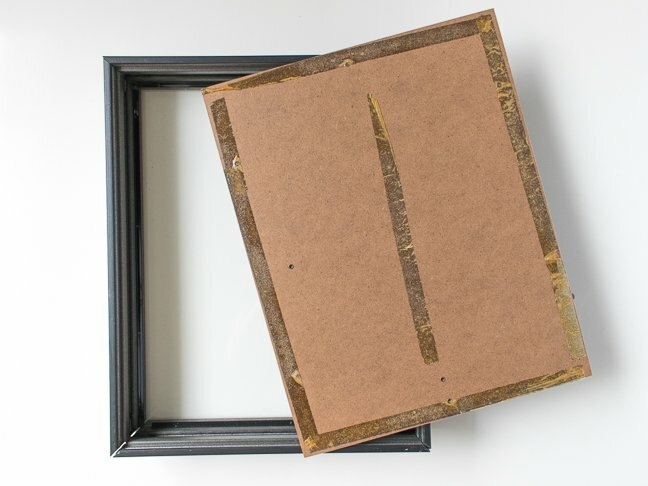 Step 1: Remove the backing of the shadow box. 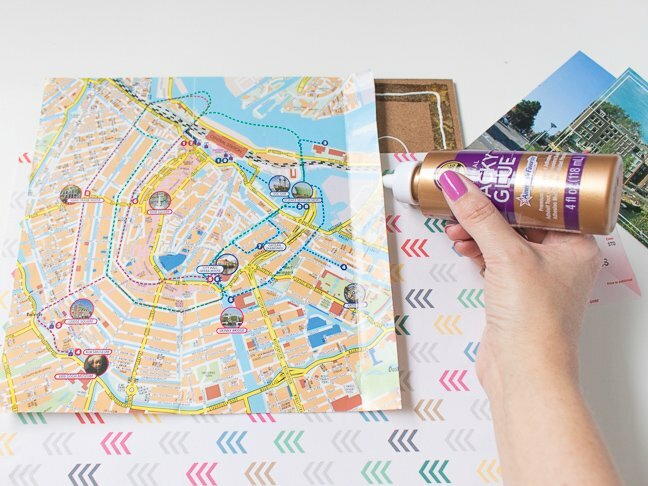 Step 2: Choose a patterned paper for the background or use a map from your vacation. Glue it to the shadow box backing. 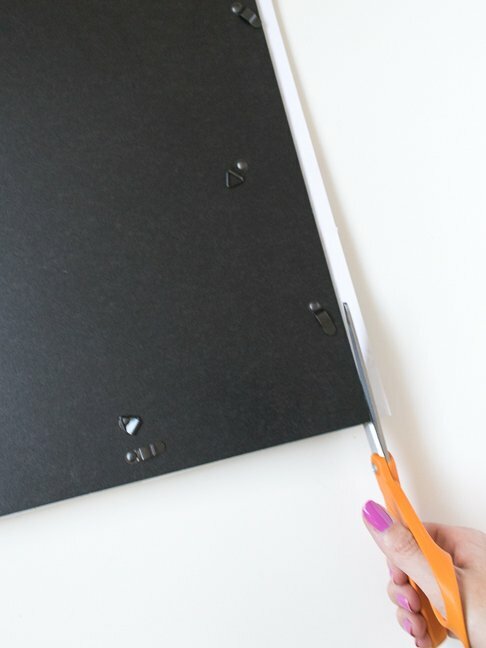 Don’t worry if some of it hangs over the sides because you can trim it later. 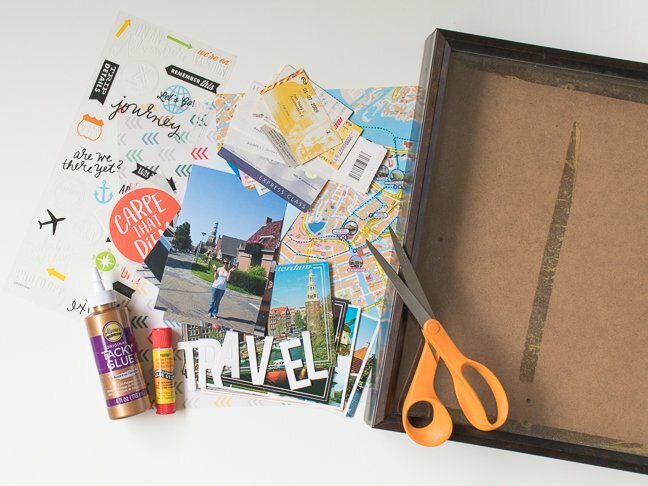 Step 3: Cut out photos and postcards to layer on top with tickets and other trinkets from your vacation. Don’t be afraid to cut odd shapes and overlap things. Once you’re satisfied with the layout, glue pieces in place. Step 4: Finish with embellishments like stickers, chipboard letters or other types of embellishment that may be used for scrapbooking. Step 5: Turn over the collage and trim any excess from the sides. Step 6: Place the backing back into the frame and secure. 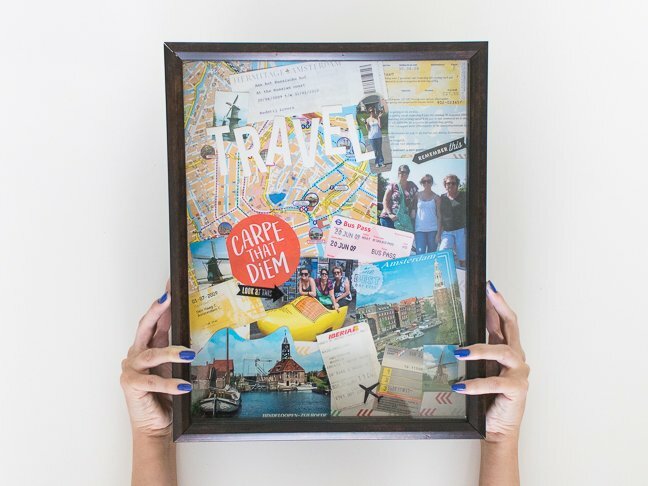 Now your travel collage is ready to hang or lean on a display! 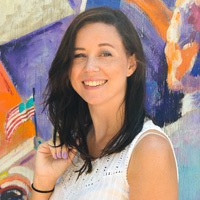 Remember your favorite vacation memories every day when you walk by your homemade artwork.